Your home theater or media room is unique in many ways. Some homes have dedicated rooms with risers for back row seating, while many are upgraded living rooms. Home theater design is unique from interior room design, while that is part of many projects. Designing a media room or mancave requires experience with cabling, audio and video systems, control systems and more. 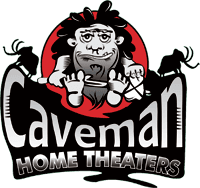 Caveman Home Theaters offers a turn-key service for your new project. 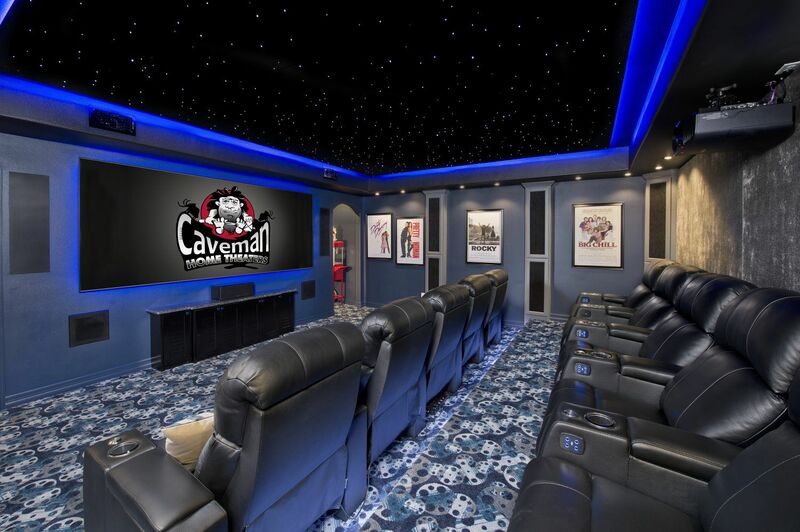 If you’re building a new home that has a dedicated media room or adding a home theater to your existing home, Caveman Home Theaters can be an important resource. We’ll work with you, your builder and your interior designer or architect to provide the necessary information like power consumption, BTU’s, size requirements and connectivity specifications. Our experience and industry contacts are instrumental to the completion of successful projects. Let us show you how we can help you with your project. From concept and design to permits, construction and electronic systems selections and installation. We provide turn-key project solutions for large and small projects. Our goal is providing a single source for your project and exceeding your expectations. Projection Screen - Bigger is Better!